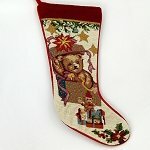 Beautiful Christmas stockings with a themes for the young or young at heart. 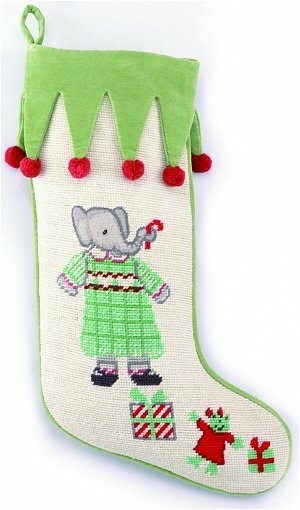 These delightful Christmas stockings will create memories as they hang by the chimney year after year. 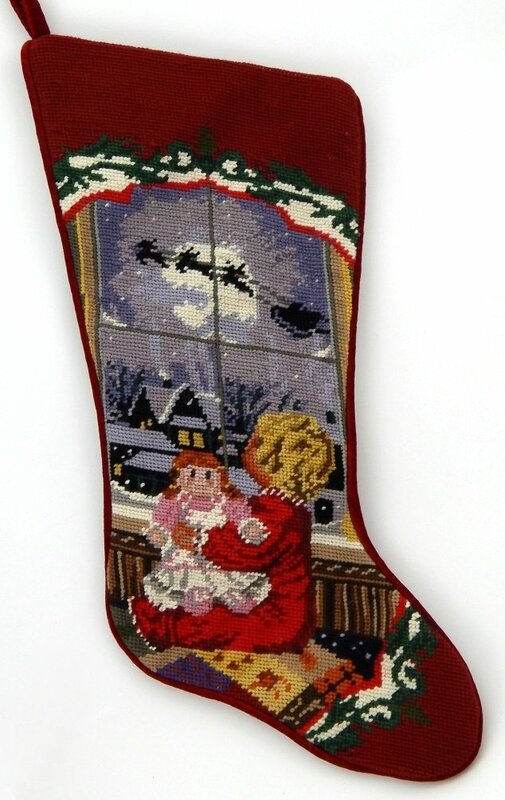 Created for Sferra and made in China these needlepoint stockings are hand stitched with wool yarn on cotton canvas and backed with cotton velveteen. 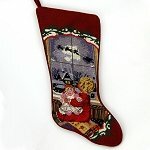 They are nicely sized at @ 9 inches wide by 19 inches high. 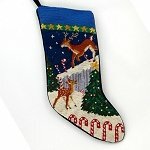 We recommend they be dry cleaned as needed. 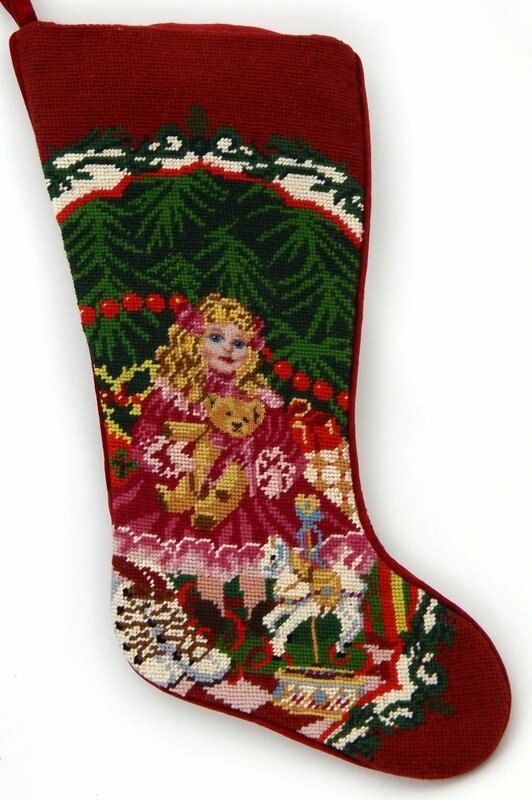 Please note the finer stiching on the girls face which adds more detail. 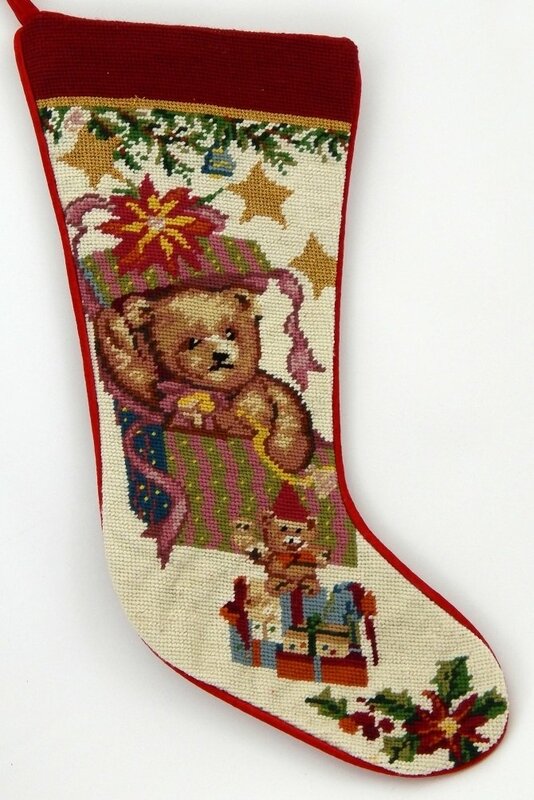 Featuring a small teddy bear that is bursting forth from his box this delightful Christmas stocking will create memories as it hangs by the chimney year after year. 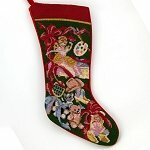 It is nicely sized at @ 9 inches wide by 19 inches high. 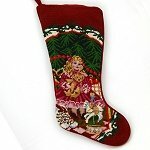 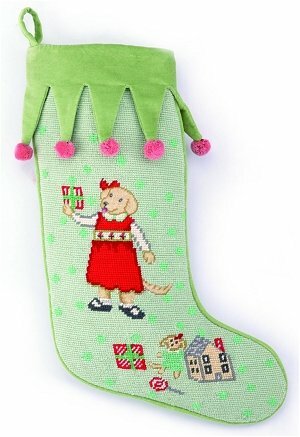 Featuring presents that a little girl might enjoy this delightful Christmas stocking will create memories as it hangs by the chimney year after year. 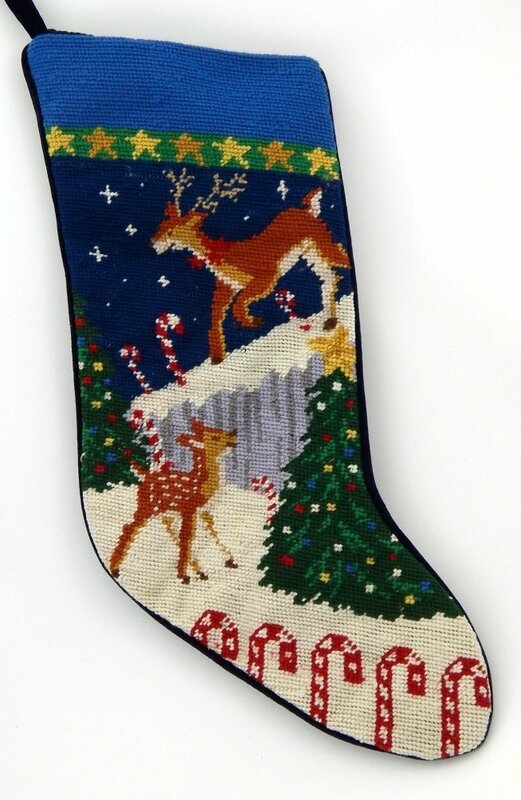 Featuring two small deer frolicking in the snow this delightful Christmas stocking will create memories as it hangs by the chimney year after year. 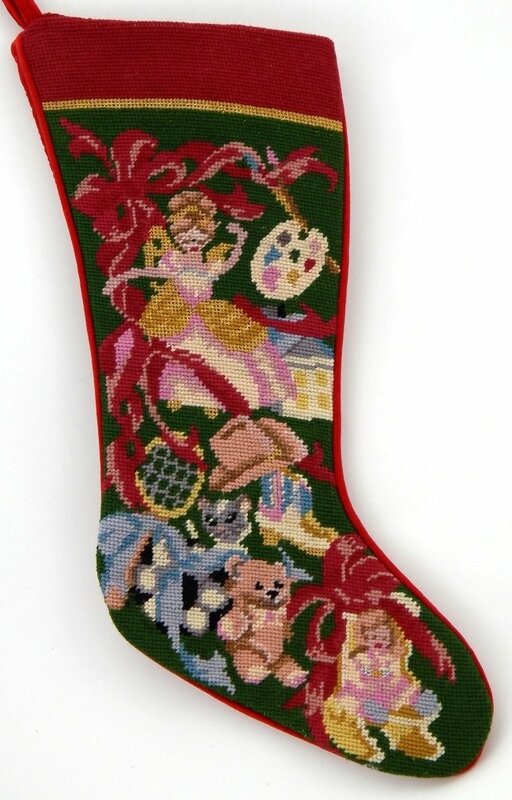 It is nicely sized at @ 8 inches wide by 17 inches high.